Happy New Year! 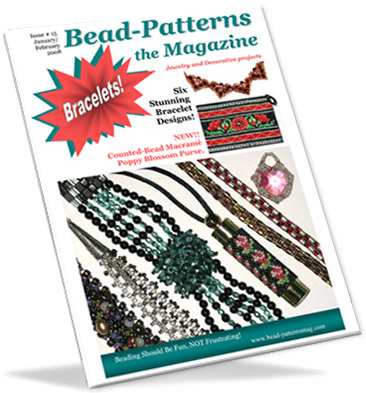 These are my favorite months to bead, bead, BEAD! The major holidays are over, the guests have gone home, the kids are entertained by their new games (at least for a little while) and I have bead gift certificates from my thoughtful family & friends that allow me to indulge in some guilt-free bead feasts. 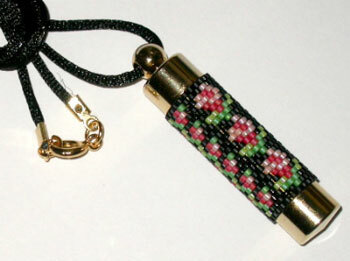 The top unscrews to reveal a removable tiny glass vial with a plastic perfume dauber for your favorite scent, a black satin neck cord with a gold clasp. Note: ArtCraftWorld.com is no longer in business. Use simple tools to make a custom multi-strand chain bracelet cleverly accented with seed beads. Silver-tone findings from the craft store simply LOOK expensive. 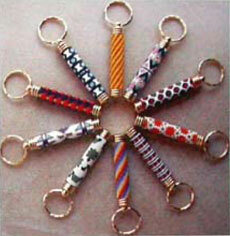 Follow the color chart to string Delica beads onto C-Lon cords between double rows of Half-Hitch knots. 2.5" x 4" Zippered Coin purse or 6" x 5" piece of lining fabric and a 4" zipper. Lots of eye-catching movement and razzle-dazzle sparkle in this brick stitch and stringing 7" bracelet with a fire-polished fringed center! 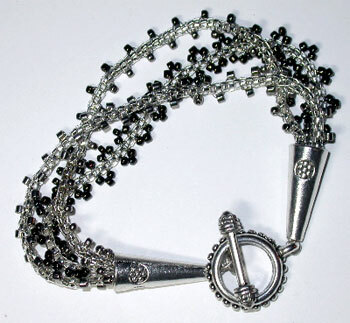 Working flat herringbone stitch with both size 11 seed beads and size 6 seed beads creates a wonderfully supple textured bracelet base that is very easy to embellish with all those lovely odds and ends in your bead dish. 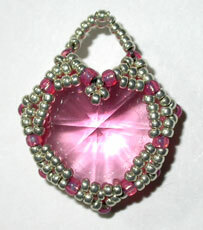 Weave size 11 seed beads and 4mm fire-polished beads into a garland of lacy hearts to wear on your wrist. Make a longer garland for a matching choker. Shirley needed a gold bracelet to match a particular outfit and encourages you to select accent colors to suit your style & wardrobe. 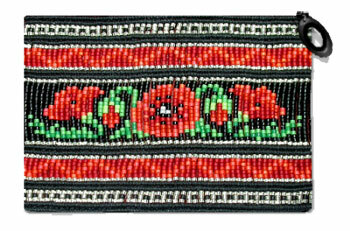 Odd count peyote is used to stitch the entire 7" bracelet, including the clasp! Carlene Cooley-Brown & Wayne Goodharts are proud to present a collection of 20 beautiful Cover Designs for the Hidden Compartment Keychains. Full Color Graphs, Word Charts, and Delica color numbers are listed for each design. A line of innovative, colorfully hand-painted, hand-cut, drilled shapes and links to excite your creative juices! 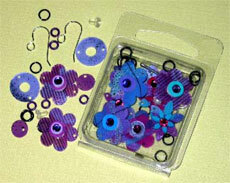 Wonderfully complete kits are available for earrings, necklaces and bracelets. So easy to assemble and great fun to wear. The snowflakes range in size from 1½" up to a fabulous 4" stunner. The instructions are well written step-by-step and the large illustrations are color coded so even beginners will enjoy the delightful projects. Order yours today and let it snow, let it snow, let it snow! Visit: www.myelements.com to see all of the wonderful colorways and shapes Yvonne has created for us to play with!